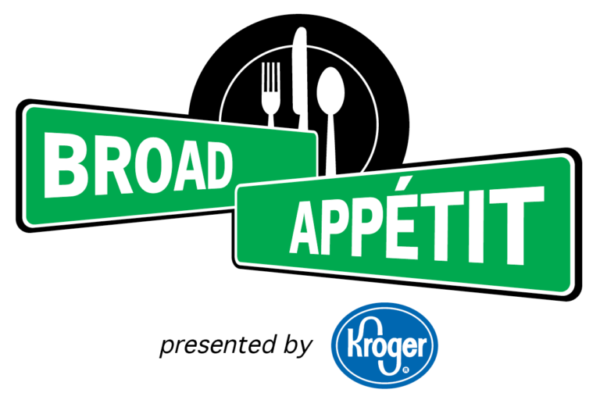 We hope you join us at this year’s Broad Appétit on Sunday, June 2! Bring your appetite as you graze down Broad Street, savoring delectable small plates from just $3 from local restaurant and eateries. The mission of Broad Appétit is to provide an affordable and enjoyable local food festival in that is locally driven and regionally appealing. Broad Appétit exists to promote the amazing food, art and music that makes Richmond a great place to live and visit. Hosted by the Downtown Neighborhood Association and presented by Kroger, we are so very thankful that Feed More is the beneficiary of this RVA-centric event. Be sure to visit BroadAppetit.com closer to the event for more details on music, food and fun.